Wanna make a difference in the fight against cancer? Former Century Cycles employee Rob Kollin, who is now an Agent Manager for AT&T, has formed a team to ride in Pelotonia, the first annual bike tour August 28 - August 30 from Columbus to Athens which directs 100% of every dollar raised to cancer research at The Ohio State University Comprehensive Cancer Center – James Cancer Hospital and Solove Research Institute. Rob’s goal is to raise $4,000 and he sure could use your help. He’s also going to get a boost from Lance Armstrong, who is currently scheduled to ride in Pelotonia as well. “I am riding 180 miles in Pelotonia so my daughter’s generation only learns about cancer in history books,” said Rob. 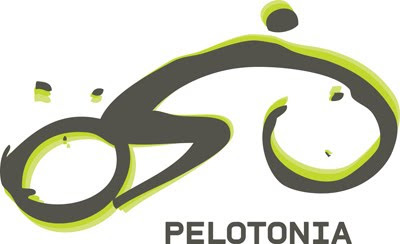 To donate to Rob’s Pelotonia effort, click here. Rob says, “No amount is too small." Need another good reason? The wife of popular bicycling blogger Fat Cyclist recently died of cancer. His heroic efforts in her memory are an inspiration to "Fight like Susan" and contribute to LiveStrong, Pelotonia, or your favorite cancer charity.